As you can see progress continues with the expansion. 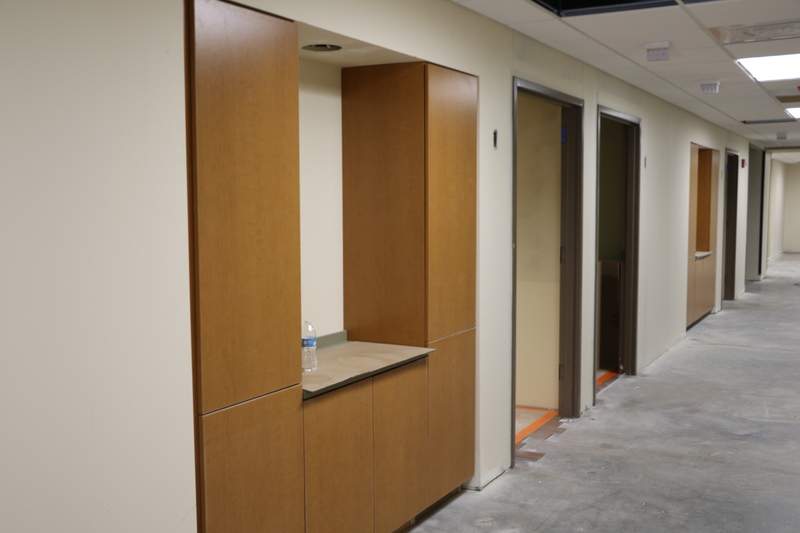 We will begin seeing patients in the new space on June 6, 2016. The areas that will be occupied on that date will include Emergency Department, Imaging Services, Surgery, The Bistro and the lobby of the expansion. 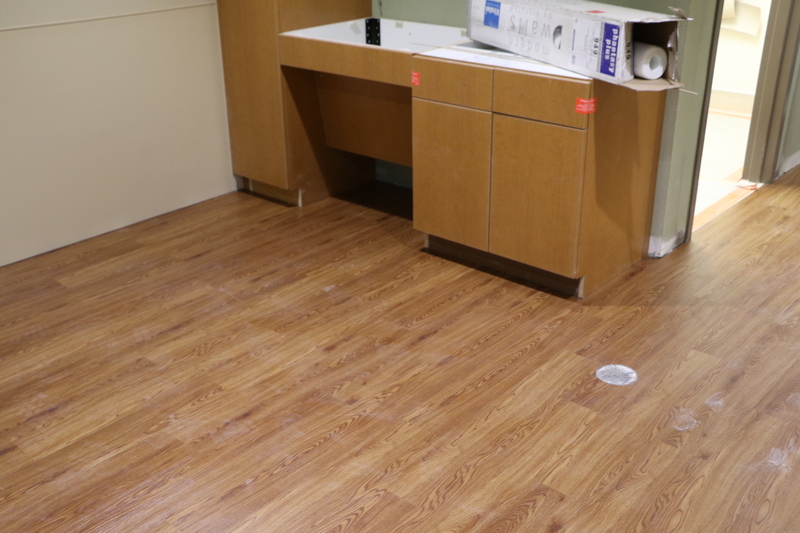 The Outpatient Treatment Center will begin seeing patients in new space sometime in late July. At this point finish work is occurring in many locations. Casework, better known to you and me as cabinetry, is going in. Many areas are getting flooring and at least the first coat of paint. Ceiling grid and tile is almost complete in all of the phase one areas. The picture above is the current state of the ultrasound rooms in Imaging. 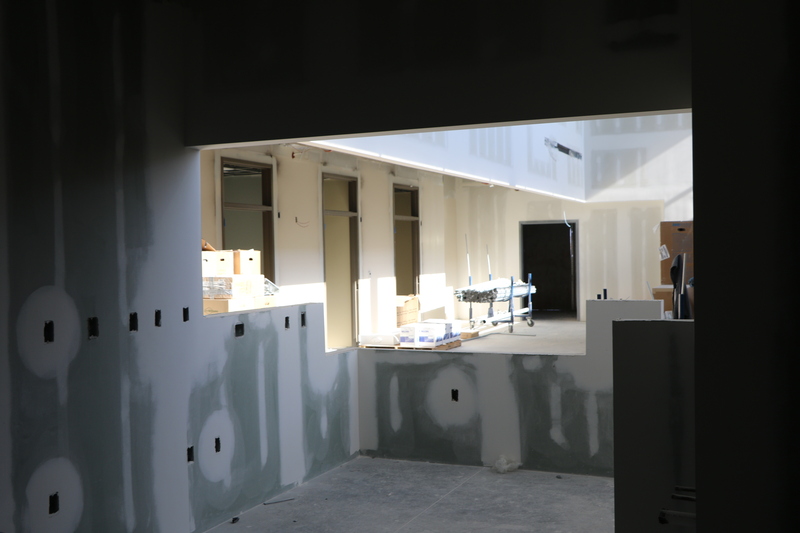 The new space will have four complete and matching ultrasound rooms. This is a picture of a hallway in Imaging. The doorways you see are the entrances to the ultrasound rooms. This picture is taken from the inside of the Bistro looking into the lobby. The doors you see on the left are entrances to admitting booths. You can also get a sense of the openness and natural lighting that will help the lobby to feel accommodating to patients and families. This picture shows the top of the two-story lobby where the wall meets the window. 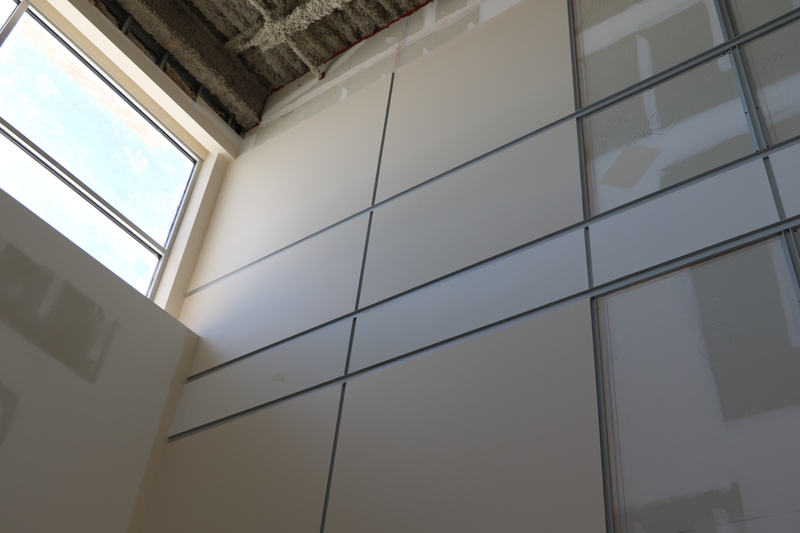 The wall will be finished with decorative panels which are currently being installed.